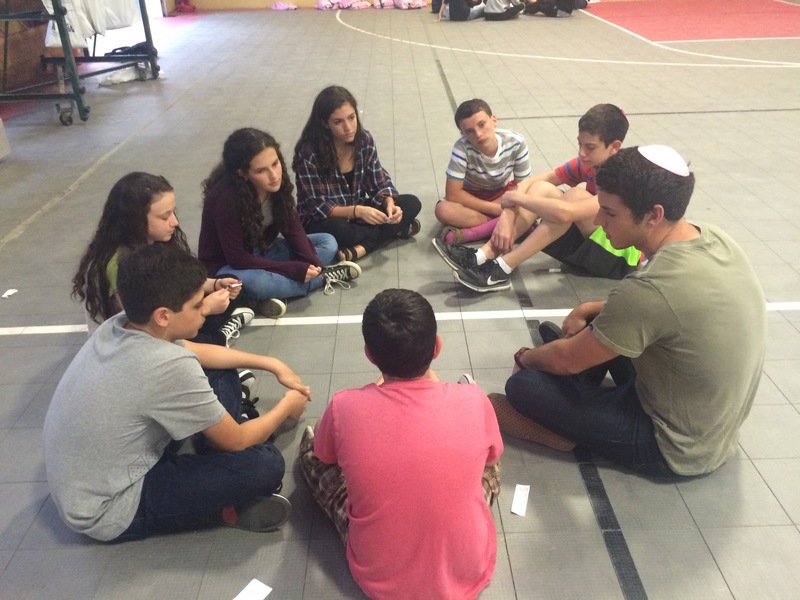 Leviim is making the most of their summer! It was the best of times, it was the still best of times. So wrote Ernest Hemingway when he looked out at Leviim in their first week. We last left our brave gladiators on Thursday as they ate a lunch of grilled cheese, followed by some swimming, soccer, and dancing. What a day! As if that somehow wasn’t exciting enough, that evening we had a peulah chinuchit (educational activity)! We discussed the theme of the summer, “kol yisrael arevim ze b’ze (all of Israel is responsible for each other) by learning about the situations of Jews around the world. 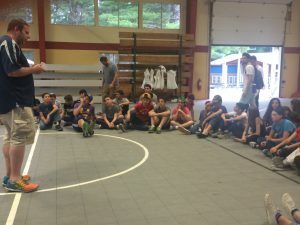 As the conversation went on, the chanichim (campers) all turned on the same light bulb at once: the realization that the plight of some Jew somewhere is every Jew everywhere. Friday was a SUPER SWEET morning of kitah (class), schiah (swim), and chug (elective), and an afternoon full of football and time at yifrach (literally “it will grow,” this is a garden/social justice peulah). The boys meditated on the necessity of fruit, and the girls learned about the power of herbalism. We returned to the trzif to shower and prepare for Shabbat. To try to sum up the feeling of Shabbat here, the ruach (spirituality) that we all felt as we sang Kabbalat Shabbat as one voice, the joy of being able to be with our friends on a full day of rest, and the deep satisfaction that reached into the core of our cultural and emotional DNA to open us up to something that we only recognize as beyond ourselves, would be too difficult to write in any blog post. This Shabbat was like every other, yet utterly unique, and the chanichim loved it. As it came to a close, the chanichim spent time with their Kerem (CITs and the oldest chanichim) and got to know them on a personal level. Sunday began with nikayon (cleaning our tzrifim) early, then our regular morning schedule. Our brave heroes faced their next challenge: a rainy day! The black bean soup and quesadilla lunch prepared them for an afternoon of dancing, knockout, and a discussion about tefillah (prayer). We also had ice cream, and that helped. As I write this blog post, I sit on the bus with all of our favorite kiddos as we depart for the Highland Center, a 2 night trip to the Appalachian Trail to learn about the environment, the solar system, and perhaps most importantly, ourselves. Expect pictures; expect smiles; but most of all, expect us to rock this world.